I'm a born skeptic. My parents were both immigrants raised primarily in the Bronx and they rubbed their skepticism off on me. I question most things, especially those in business of selling. 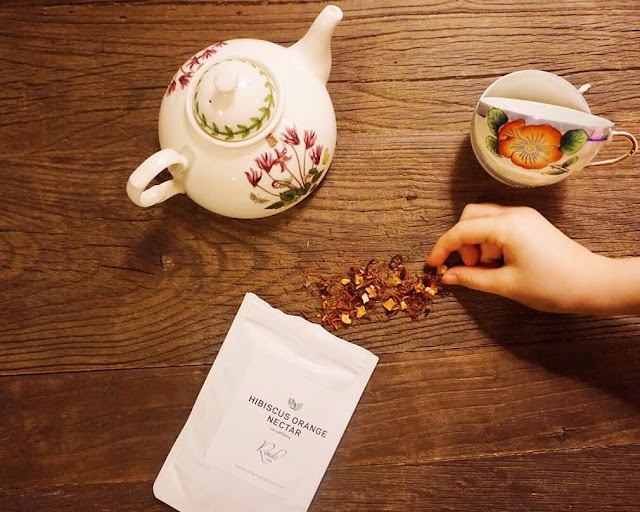 When I was first contacted to try a subscription box from Rosali Tea, I wasn't sure if this would be like so many other subscription boxes of generic teas without much information. But I started to doubt my skepticism once I saw the beautiful box with the three teas inside. Upon further inspection I knew this would be one of the exceptions to the norm. Founder Rosa has worked hard to source her teas and prides herself on the curated selection she sends to subscribers every month. There are three box options per month. For $14.95 you get 3 teas at 1oz each. That gets bumped up to 2 oz at $19.95 and 3 oz at $29.95. I like that you can choose your size. The teas come with disposable tea filters to make sure you have a way to brew your loose leaves. Each tea comes with a nice card with a description and brewing instructions. Milk Oolong: I've had milk oolongs before with dubious origin. It's hard to know if the one you have is the real thing. I've been asking tea friends and doing some research and I've learned that if the scent is too overpowering, or you have a slight film on the top of your brew, you probably have a flavored oolong. The buttery flavor will dissipate after the first steep as well. It appears that the tea in this box is the real deal. This is Taiwanese oolong from the Jin Xuan cultivar, which is what you should look for if you want the good stuff. The dry leaves are buttery, creamy, and sweet. It reminded me of vanilla buttercream frosting, but with a slight greenness to it, if that makes any sense. My first two steeps were very buttery, and reminded me of movie popcorn, which isn't really a bad thing. I tasted a sweetness and mellow floral flavor as well but the buttery and cream notes dominated. By the 3rd infusion there was less buttery flavor and texture, but it was definitely still in the background. The sweetness and floral flavor was more present, getting more of a light oolong characteristic. I think I'm not a fan of the milky flavor in general, but I do appreciate the complexity of this tea. This week Rosali is selling it separately for anyone that is interested in purchasing just this tea. Hibiscus Orange Nectar: I'm not too keen on rooibos in general, I'm just not a fan of the aftertaste I get from it. But the dry leaves smelled like an orange creamcicle, so I was a bit intrigued. I knew just who to share this tea with, The Littlest Tea Critic. Ingredients are rooibos, orange, hibiscus, rosehips, apple, rose, vanilla, and citrus flavor. The nostalgic creamcicle flavor was also quite strong in the brewed tea. I do think vanilla works well with the natural rooibos flavor, and the hibiscus and orange masked a bit of the aftertaste I don't usually care for. It really tasted like a creamcicle to me, mostly from the juicy orange and smooth vanilla. The Littlest Tea Critic and I both enjoyed our sips, but we agreed that this isn't a tea we'd drink every day. She's just like her mom, she's not a big fan of flavored teas. But if you grew up eating creamcicles, this is a fun treat to have! The flavors also taste clean, without any chemical aftertaste. Sencha Matcha Bliss: Now this tea, is more my style. 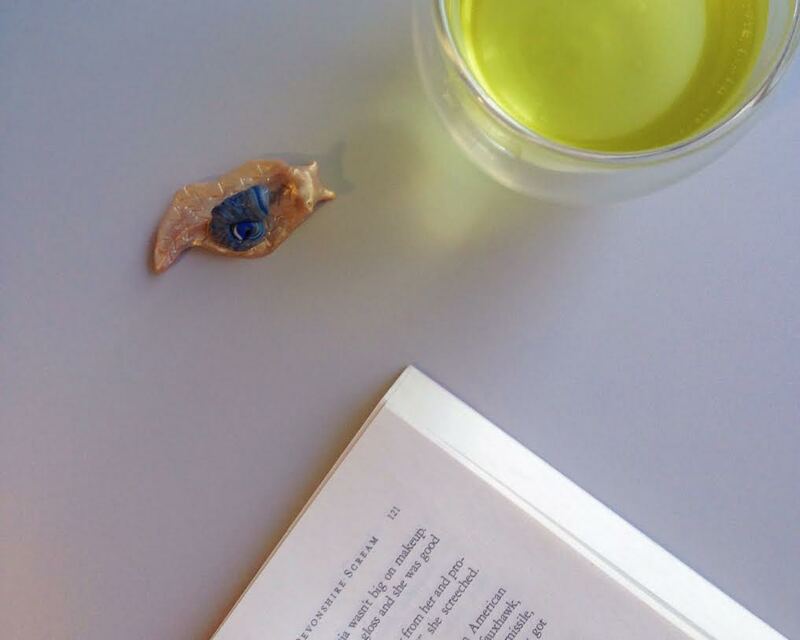 This beautifully vibrant, sunny green tea perked up my afternoon. The dry leaves are pure vegetal sweetness like sugar snap peas. The brew is delicate, grassy and sweet. I get a hint of savory umami as well, especially as it cools. This is a light and refreshing tea and even though it has a good amount of caffeine, I couldn't resist having a small cup in the late afternoon. I felt a burst of sunshine on my face even though it was an overcast day. A soul satisfying cup, for sure. 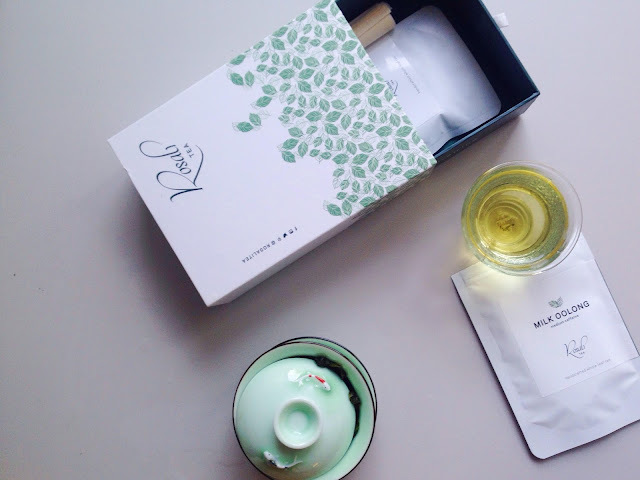 So in the growing space of tea subscription boxes, Rosali Tea is one to try. Thank you to Rosa for this beautiful box. I wish her all the best with her new subscription service! If each month has teas as interesting as these, she'll do quite well indeed. The most appealing aspect is the pricing! I'm like you the sencha matcha would be the one I drink the most. Rooibos tastes like synthetic vanilla to my buds. Not a fan! I agree with your description of rooibos, Lakeisha! Thanks for the comment.